Rainbow gradient mesh vector background with halftone dot pattern and fun rounded square design. The white center graphic has blank space for your logo, photos, text work or graphics. Fun and colorful elements come together in this free download to help you create greeting cards and flyers. 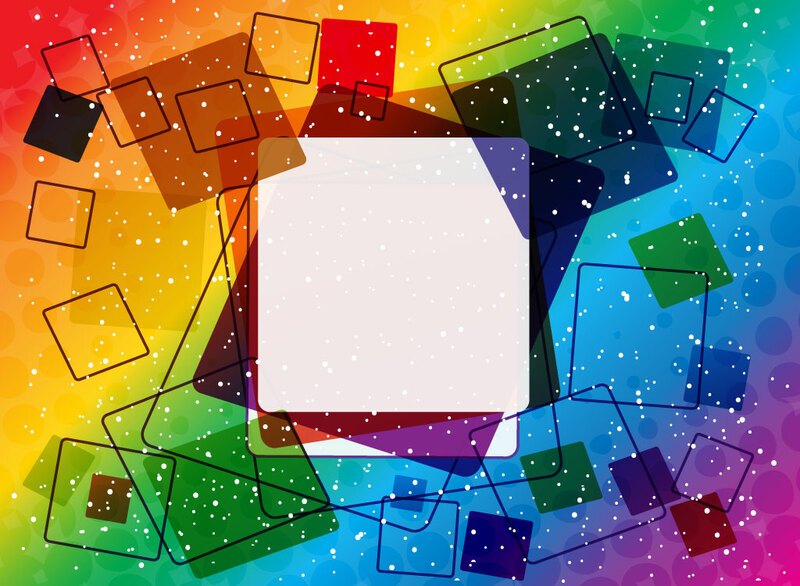 Tags: Abstract, Colorful, Frame, Free Backgrounds, Layout, Squares, Template.